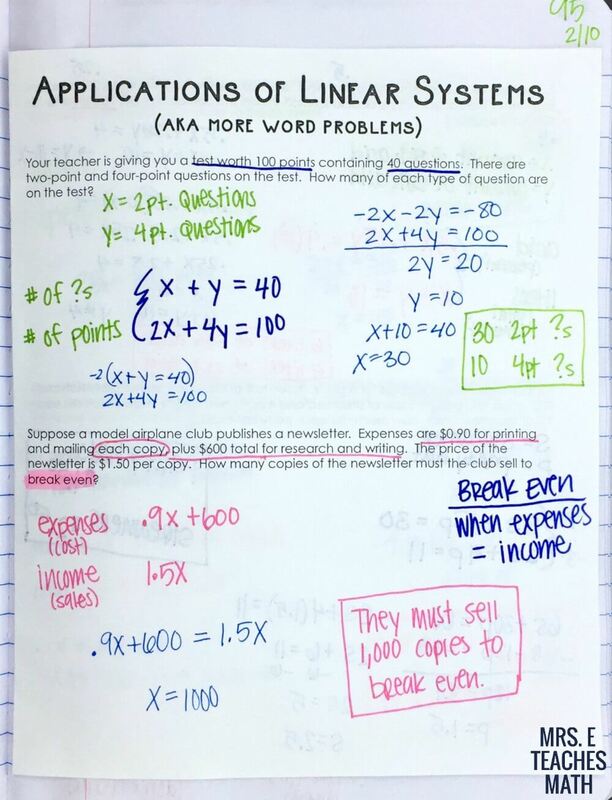 I made my students do TONS of word problems when we studied systems of equations. They were fine at solving the systems, but they struggled with setting them up from the word problem. So, we had one entire class day where I went through a million word problems and just set them up. After that day, my students improved so much! 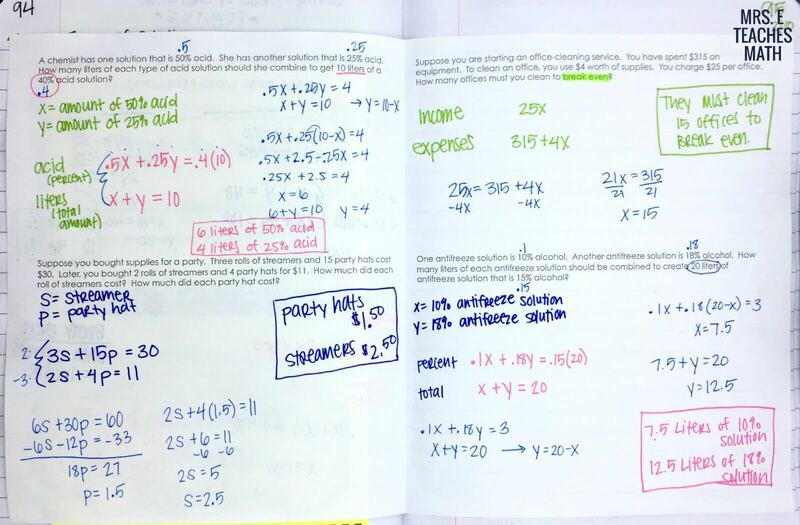 I used this hamburger book one day to help my students set up different systems of equations. I copied it on legal paper to give my students more room to work.